Li Lin Hally is a Licensed Clinical Social Worker who works with adults, teens, groups, and families in the Portland Oregon area. Li Lin has been intensively trained in RO DBT and is a RO DBT Senior Clinician and approved trainer. She has been a counselor for the past 20 years, providing services in a variety of capacities including Asian refugee relocation, services to homeless leprosy patients in India, service learning in the Philippines and comprehensive relocation services in Spain. 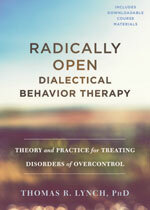 Since she started training under Dr. Lynch, she has developed a passion for RO DBT and has partnered with colleague Kirsten McAteer to open the first fully dedicated RO DBT Clinic in the world called Abri Radically Open DBT. 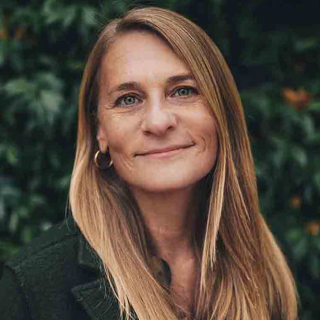 Since starting her private practice in Portland, she has especially enjoyed working with highly anxious teens. All of these experiences have contributed to Li Lin’s clinical expertise. She received her Masters of Science in Social Work from the University of Wisconsin- Madison in 1997. LiLin has lived and travelled in many different countries, and she and her husband have chosen to make Portland their home. She has twin daughters in college who are very proud of her and excited about Abri. LiLin identifies as over-controlled (OC) and every day practices what she preaches in being more flexible, open and having fun.